John Deere Power Systems is shipping the new PowerTech 4045SFM85 marine engine to boat owners and builders. The manufacturer touts the PowerTech 4045SFM85's power-to-weight, torque and compact size, saying it is suited for planing and semi-displacement hulls. -- M5 rating with 235 kW (315 hp) at 2800 rpm. These ratings are ideal for light-duty commercial vessels, high-speed governmental applications and high-speed pleasure crafts. Both the M4 and M5 ratings are applicable to commercial and recreational applications. To put the engine through its paces to confirm performane, John Deere partnered with end-users to gather data from a bow picker, crabber, dive boat and recreational vessel. The 4045SFM85 engine ratings meet U.S. Environmental Protection Agency Marine Tier 3 and Recreational Craft Directive II emissions regulations, as well as International Maritime Organization Tier II standards for commercial and recreational applications. 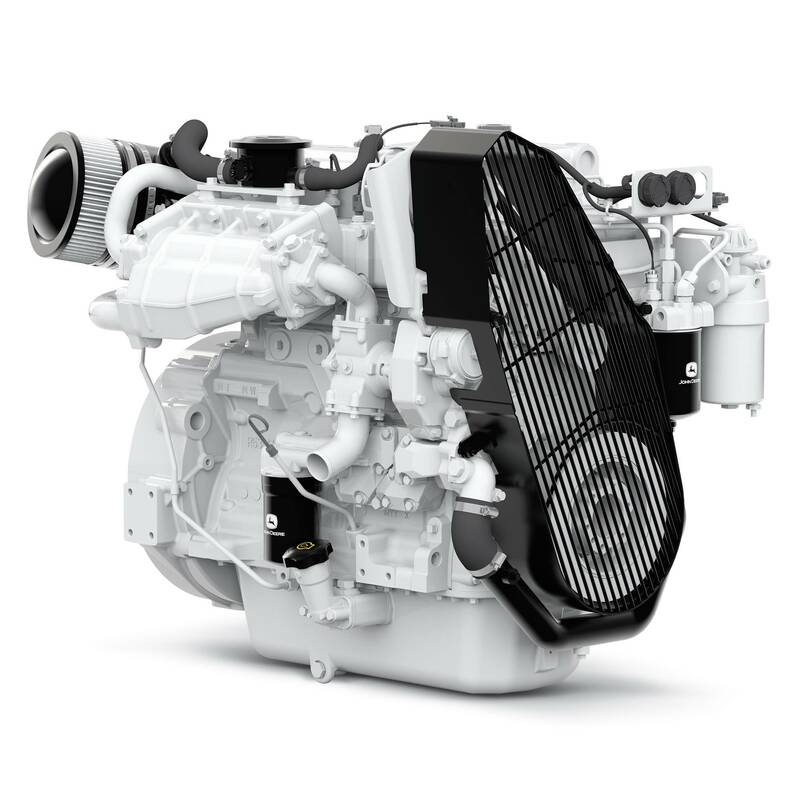 To date, this is the only known ABS-certified, 315 hp, 4-cylinder in-board diesel engine that will be type approved by the American Bureau of Shipping, DNV GL, Lloyd’s Register and Bureau Veritas, according to the manufacturer.